"Summertime and the livin' is easy..." sang Ella Fitzgerald back in 1957 with tremendous help of one of the kind crispy voice of legendary Louis Armstrong. Even though the most famous lullaby ever, written by Ira and George Gershwin for the "Porgy and Bess" opera from the thirties of 20th century, is not really about the hottest season and happiness per se, one thing is for sure - whatever you do, summertime is definitely the period of year when everything is smooth and nothing dramatic is happening.. At least nothing intentionally. Pure R&R. Even the work hours are passing by somehow easy and without big turbulence. As for me, ever since I decided to go low with my social online life, after just couple of weeks I noticed positive change in my daily routine. The feeling was almost like solving addiction of some kind and even comparable to the past when I said definite goodbye to cigarettes after leaving the last year of university. Now I am having *lots* of time to read books and novels, watch movies and tv shows and to go out and socialize with real people. I have much more time to play with my son and to ... well ... enjoy life in a more or less old fashion way. I even caught myself the other day browsing car fm radio in search for good music. Hopefully, this post will trigger some of you to try the same if you, like me, find out that spending time in front of computer screen is starting to waste your time more than you are ready to admit. Anyway, second reason for this post is a small recommendation for the summer reading. Couple of weeks ago, when I decided to get back to novel reading on daily basis - I opened a bookstore (yes, online store - computers are not that bad after all) and decided to order couple of old fashion *noirish* detective stories. Like the ones popular back then when George Gershwin composed his master piece "Rhapsody in Blue" between two big wars in well known prohibition times. 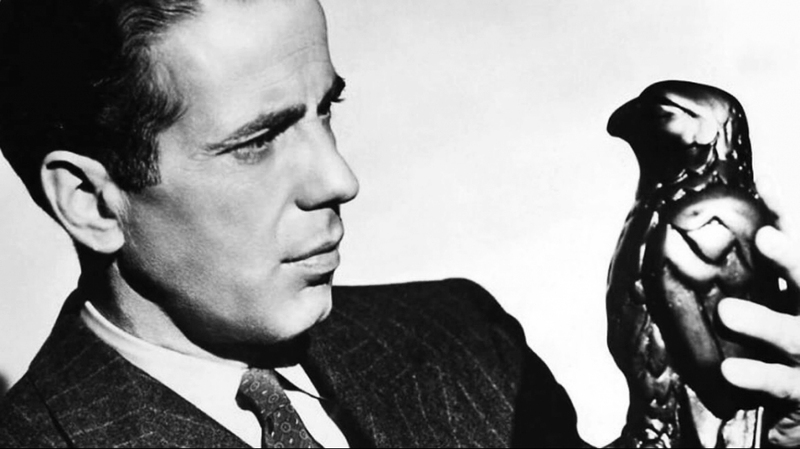 To my surprise, after just couple of searches I stumbled to completely new Serbian edition of Dashiell Hammett's novel "The Maltese Falcon" with one of the best detective stories of all times behind the brilliant mind of private detective Sam Spade. After little hesitation I hit the button that effectively took the money from my account and after couple of days I became proud owner of one more classic book, along with "Altered Carbon", cyberpunk detective story written by Richard Morgan I chose to read in a row. Well, to say the least, after reading these two books I felt only regret for the lost time in previous years when I thought that spending time online is the next future for the mankind. I couldn't be more wrong. I like detective stories for several reasons, but mainly because they trigger imagination and deduction more than other genres. If you add strong characters in lead roles, either good or bad, and the fact that these two particular novels are written amazingly well with not much space left for predicting the next chapter and with twists happening when they are least expected, I can assure you that reading time between covers is not going to be long. I can't tell which one I enjoyed more. Both novels are very different in their stories and background, history, facts, used gadgets and weapons, considering almost more than 70 years between their first published editions and more than couple of centuries between two story lines happening in both books. And yet, thanks to familiar storytelling genre of hardboiled noirish detectives in main roles I can't get rid of feeling that if both detectives, Hammett's Sam Spade and Morgan's Takeshi Kovacs by some magic switched places with each other, that would not affect stories in any way. For that matter it would be easy to picture Humphrey Bogart in lead role of Altered Carbon as well. Joking aside, I have to admit that I didn't read "The Maltese Falcon" or watch Bogart's version of the movie before, but I think this only provided me unique perspective in the first place as my mind couldn't be tricked by visualizing scenes in black and white or picturing the famous actor each time behind Spade's face. As for "Altered Carbon", according to few news pages it seems that relatively young production house "Mythology Entertainment" purchased rights for the movie and already started with screenplay and production. If it is going to be transferred to the big screen in a proper way, combining hardboiled "Blade Runner" kind of a story line with high tech environment of the future where death is just another milestone in human life, this movie could be next Matrix-like blockbuster.